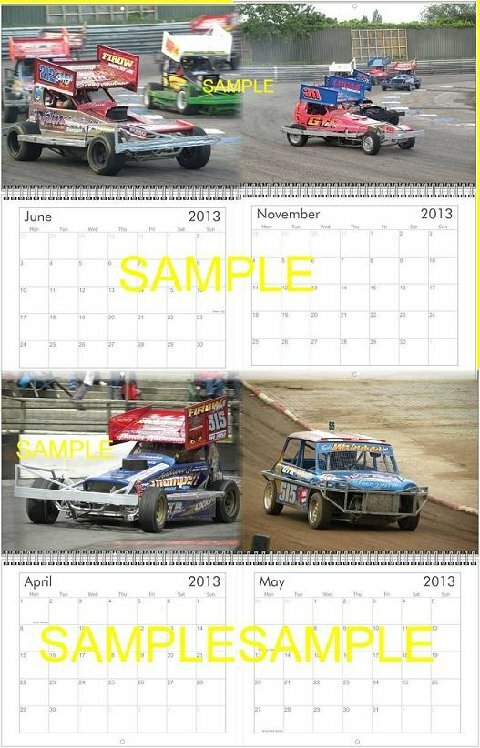 Featuring all the Wainmans racing in 2012 and 2011 – Ministox, Hotstox and F1. All pics in High Glossy effect and are the wall type calendar approx A4 in size. All pics in the calendar are my pics. Limited run of 10 calendars for purchase. If more interest is shown for more orders then give me plenty of notice as they take 7 days to order. Only available at the tracks, not for postage. Planning on being at every meeting (except Northampton) from now till end of season. If interested in one then please drop me an email madmart132@aol.com to arrange collection at the next available meeting.